When my husband and I decided to take a long road trip this summer visiting every state, the two main issues that immediately arose were safety and finances. 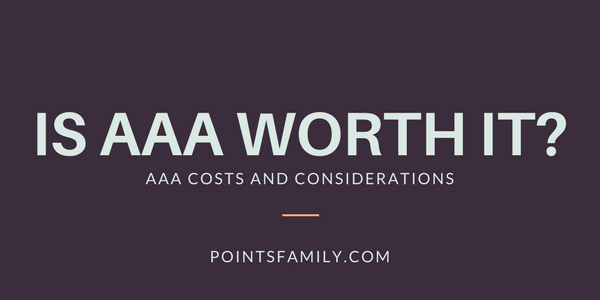 I suggested purchasing AAA to help both situations without knowing too much about it. 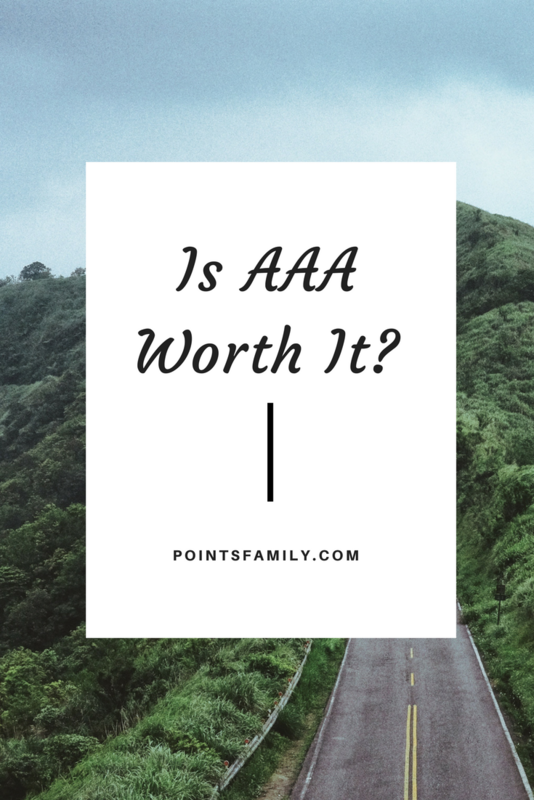 So I set out to determine what exactly AAA is and if it’s worth it. Roadside assistance. If you’re a AAA member, you automatically have roadside assistance any day of the week at anytime. This includes battery replacement, a battery boost, towing, vehicle lock-out service, tire service, one-day free car rental, fuel delivery service, emergency repair, and mechanical first aid, which is if your car needs a minor adjustment. If your car goes off road, you can call AAA to help you get back on course. The last thing you want to think about is getting your car stolen or being in an accident when you set out on the road. But it’s something you need to be prepared for. Luckily, if you’re traveling by car and more than 100 miles away from home and your car is stolen or you have an accident, AAA can help. They will reimburse you for a car rental, transportation home or to your destinations, meals and lodging up to $600. The good thing about being a AAA member is you’re covered in any car whether you are the driver or not. Discounts. Besides help on the road, AAA can help your bank account with discounts that are changing every day. You can find discounts while traveling from hotel chains such as Hyatt Hotels, Best Western, Sheraton Hotels and Resorts, Westin, St. Regis, Marriot, and many others. Save up to 20% on Hertz car rentals and 10% off on Amtrak tickets. In addition to travel discounts, you can also save while shopping. Get 10% off from Target (by visiting AAA.com/target, not at retail stores), 20% off at 1-800-flowers.com, up to 30% on Dell, and up to 40% off on Sirus/XM Radio. Cost and What to Consider. A Basic Membership is $57 and an additional $12 for a spouse. Before you purchase a membership, ask yourself how often will you really use the service. If you’re traveling often, it very well may be worth it. Be sure to also know what your car insurance already covers. Many times your car insurance may already offer road side assistance and other features that AAA gives. AAA also offers great discounts at several stores, restaurants, and hotels, but be aware if you are already eligible for these discounts. Discounts at these same places can be offered to teachers, students, government workers, military, and even through an alumni association. Often travel credit cards you are enrolled in can also give you these discounts as well. Have you ever purchased a AAA membership? Was it worth the cost? I think AAA is worth every penny! I have had my car broken down exactly 100 miles from the nearest repair shops. batty jump start and the occasional running on fumes times. Also, some AAA here in California offer DMV services for a $4 fee. It used to be free but I will gladly pay $4 to avoid the DMV if I have to. I had a problem with my address change and the DMV did not do anything about it. I went to AAA, got it changed on the spot and paid for my car registration. Oh and do not forget about the free maps! This is invaluable when your GPS is more than likely not to work in remote locations. Thanks for the comment, Amy. I’m happy to hear your positive experience with AAA. Thanks for the input. Not to be overlooked is the fact that with the AAA card you have a single phone number to access all of these services. Otherwise, if I need a jump or run out of gas halfway down the interstate, where do I call to get help? If the car breaks down, I’ll get towing at a reasonable price, no risk of emergency ripoff. This has all happened to me over 30-some years, and the convience alone has kept me with AAA. I doubt that I’ve earned back $1000+ dollars in membership fees, but I consider the service a good value. AAA is THE GOLD STANDARD in Roadside Assistance. While many other companies offer Roadside Assistance they do not all offer the same services as AAA. I’ve had so many friends who decided not to get AAA because they just bought a new car that came with Roadside Assistance services – only to find out that things that come standard with AAA (like running out of gas) were not covered by their new company. I’m in Canada, but we’ve opted not to go for CAA (same service, different name). We have an executive membership at Costco that provides very similar services through the same service providers. $100/yr buys my Costco membership, and gives me 2% cash back, along with free roadside assistance and access to a plethora of other consumer and business services at a discount. I never knew there were so many ‘perks’ to AAA membership. I really only knew of the roadside assistance. I might have to look into it more! Just curious – did you ever check hotel rates with and without the AAA “discount”? I’ve had it turn up more expensive than the “regular” rate quite often! Just so you know, they only allow up to 4 tows a year. I found out the hard way. A friend of mine who does not have a spouse was able to put me on her card for free (thank you helen!!). This was last year. Thank goodness she did, as my husband was stranded once and they towed him for free, and then I was stranded with a flat tire away from home, and they fixed everthing for free! This year my husband and I will be purchasing the plan and putting her on it to equal things out.